When you first start going vegetarian, it can be hard to give up your favorite foods that involve meat. Luckily, it's very easy to turn any recipe vegetarian (or vegan). 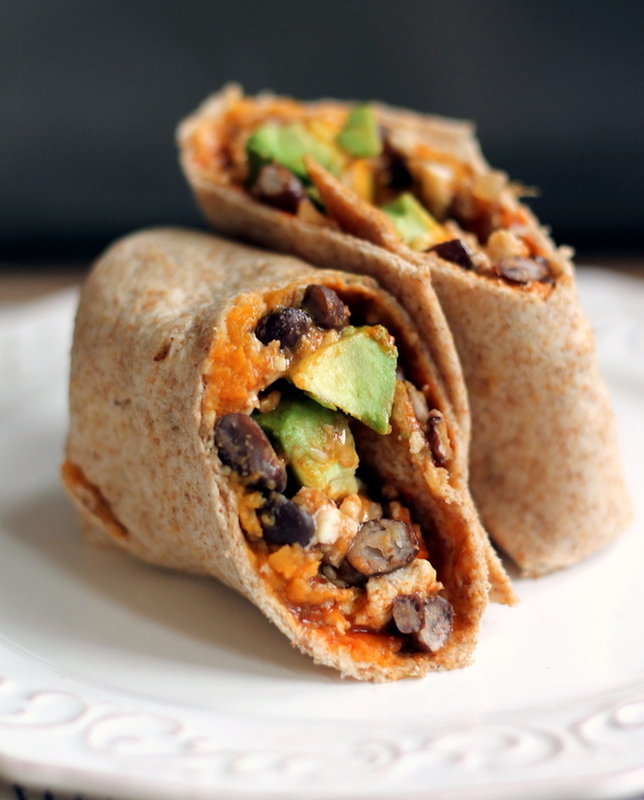 This go-to breakfast burrito is *super* yummy and sure to keep you full. * It's simple to turn this recipe vegan by using vegan cheese and tofu to replace eggs. To have the potato cook faster, pierce some holes into it with a fork. Then place it in a microwave on high for 4-6 minutes (may take up to 10 minutes). If you have more time, you can always roast them in the oven at 400 degrees for 45 minutes. Once cooked, remove the skins and place the potatoes in a bowl. Be sure to mash the potatoes with a fork and set aside. In a separate bowl, add black beans, cumin, and chili powder. Stir them and then set aside for later. Prepare scrambled eggs in whatever way you desire. Once cooked, set aside. Here is a link to make scrambled tofu for those of you that do not eat eggs. Warm the tortillas for 10-20 seconds in the microwave to make it easier to assemble. Once the tortillas are warm, evenly distribute the eggs, diced avocado, black beans, and shredded cheese on each tortilla. Drizzle a tablespoon of enchilada sauce in each. Season with salt and pepper, if desired. Eat cold or warm up (cook in microwave for one to two minutes or place burritos on a baking sheet and cook in the oven at 300 degrees for 5–10 minutes). Serve with whatever finishing sauces you desire. Yields 6 burritos. What other vegetarian recipes do you want to make? Let us know in the comment section below! "I shave everyday, but I can never get my thighs hair-free"
"I have hair on my tummy—is that normal or not?" Why is my period so heavy in the morning? Which is your fave spring accessory?